What could be better than a Big Bunch-O Butterflies? This collection includes 18 colorful and realistic Painted Ladies, Monarchs, Swallowtails, Blue Morphos, and more! Each butterfly is unique and accurately detailed. Can you tell the difference between a Painted Lady and a Monarch? 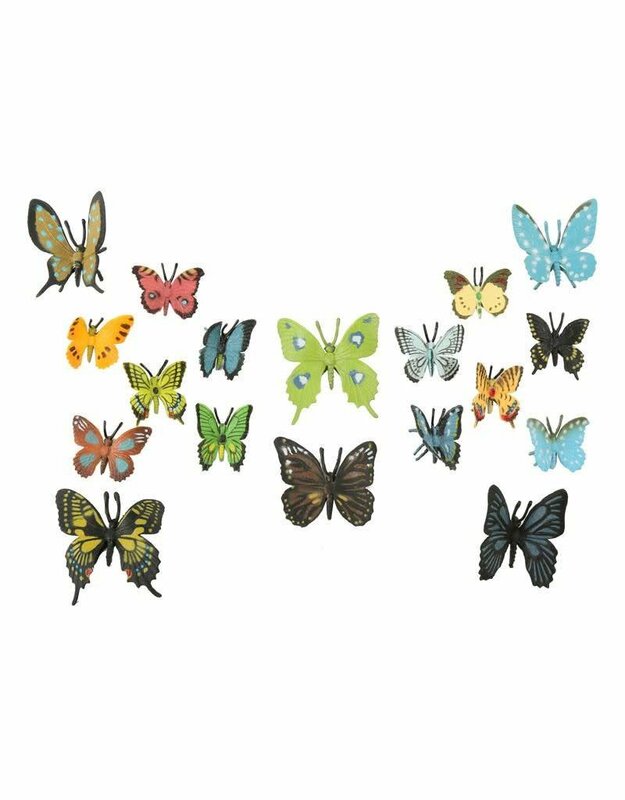 Organize, share or play with your Big Bunch-O Butterflies. They’re a Big Bunch-O Fun!